The Man — and by that, I don’t mean the police — is here. 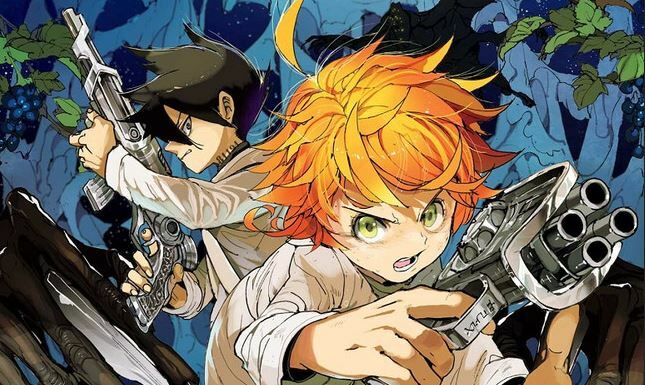 Now this is more like it — fascinating as demons Mujika and Sonju were, The Promised Neverland‘s at its best when continually instilling cutthroat pressure threatening to terminate our young heroes’ jailbreak (and, by association, their lives). Adding to our morbid fascination, their newfound executioner isn’t a child-hungry demon, but one of their own kind: another human. Known only as “The Man,” this hardy recluse has long since resided in William Minerva’s underground shelter, and he’s not willing to share. As the enigmatic hermit schemes to kill them off, can Emma, Ray, and the rest of Grace Field’s young geniuses unearth any possible weaknesses? Let’s not already forget we’ve had human opponents in the past — after all, the first five volume were about outwitting Mother Isabelle — so what makes The Man any different? As opposed to human ranches’ demon-abiding Mothers and Sisters, this elusive hermit obviously doesn’t subscribe to any such authority; in fact, he’s a former escapee, too. The only survivor of his ill-fated band, he’s long since abandoned any salvation in finding Mr. Minerva, resigning himself to a bleak existence of scavenging food and sipping broken teacups. 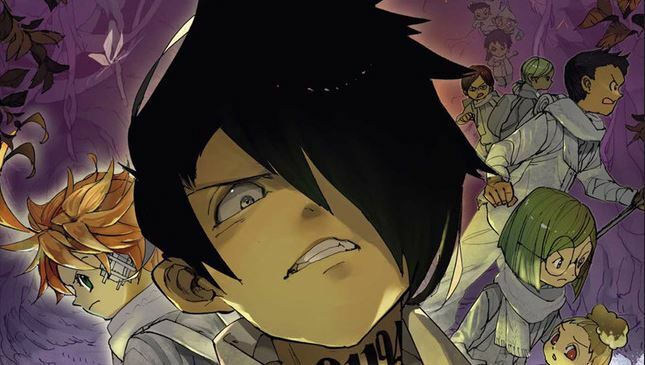 Between his PTSD episodes, cookie-eating lamentations and murderous schemes, The Promised Neverland yet again subverts expectations — The Man’s origins do away with any groundbreaking mysteries or revelations, but instead make way for the series’ most uneven game of cat-and-mouse yet. And yet, a deadly resolve persists — his agreeing to accompany Emma and Ray towards Goldy Pond is a last-ditch effort courtesy of fractured cynicism, with a forest home to wild demons all too eager to perform the job he cannot commit himself to. 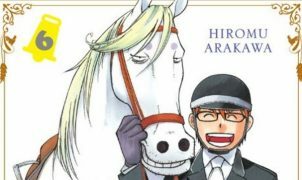 We have witnessed this character archetype before — a grumpy embodiment of fatalism eventually warming to earnest protagonists — but Shirai’s writing ensures The Man isn’t another tired, wasted trope: his dastardly pessimism must combat Ray’s pragmatism and Emma’s optimism, one late page pitting their mental wits against each other. Placed within the unpredictable developments of a thriller, we can’t even guarantee this trope will bear fruit…or, at least, not the way we’d expect. Can Emma and Ray outwit The Man? But enough hinting of the future — what else lies within the shelter? I mentioned last volume’s friendly demons from earlier, and in retrospect, both volumes are eerily parallel — the children embrace a haven previously denied at Grace Field Orphanage, meet someone possessing knowledge of the world, and eventually embark on their merry way. This time, however, it’s truly to the series’ benefit: Mujika and Sonju’s world-building was essential and much-appreciated, but our protracted visit within their cavern possessed no hostility — a tragic necessity for a grim thriller such as this. 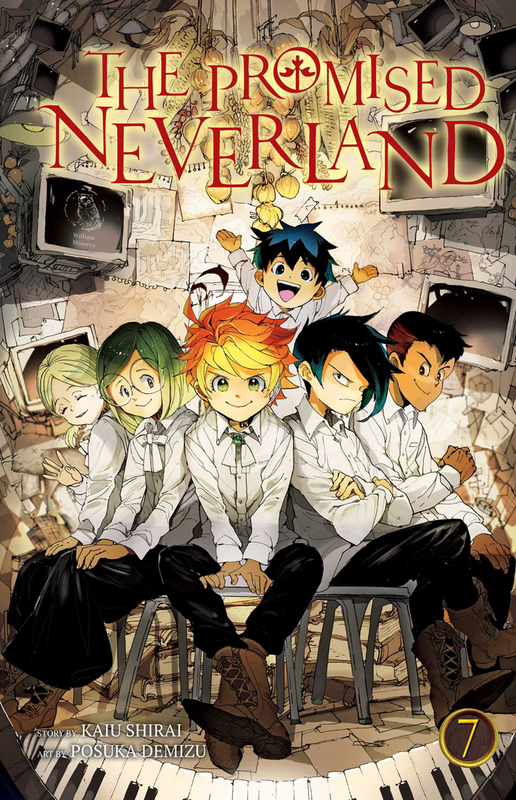 With only one chapter devoted to jubilation here, The Promised Neverland quickly recalls that ever-paramount drive for survival, with The Man shattering any lingering security. Not that Shirai just suddenly came up with the shelter scenario, of course, but we can best think of it as a second, more successful take on the concept. Volume 8 signals the beginning of Goldy Pond, and with us transitioning into the series’ most action-packed arc, any false lulls of sanctuary shall soon disperse. 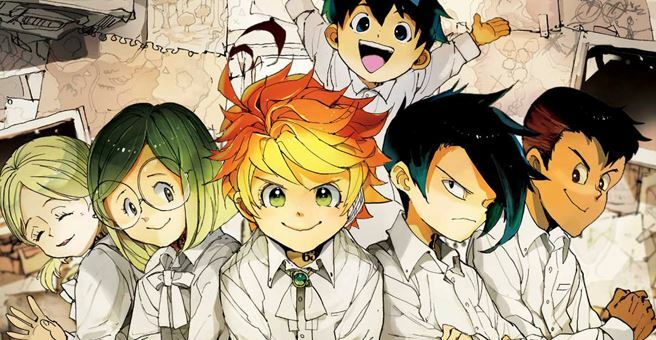 If anything, that we end this volume venturing into the nest of wild demons already dispels such notions, with Emma and Ray’s only guide being an unhinged man-child simultaneously engaging us into another battle of minds. To new readers, where this’ll even lead is anyone’s guess, but that’s why we keep coming back for more.